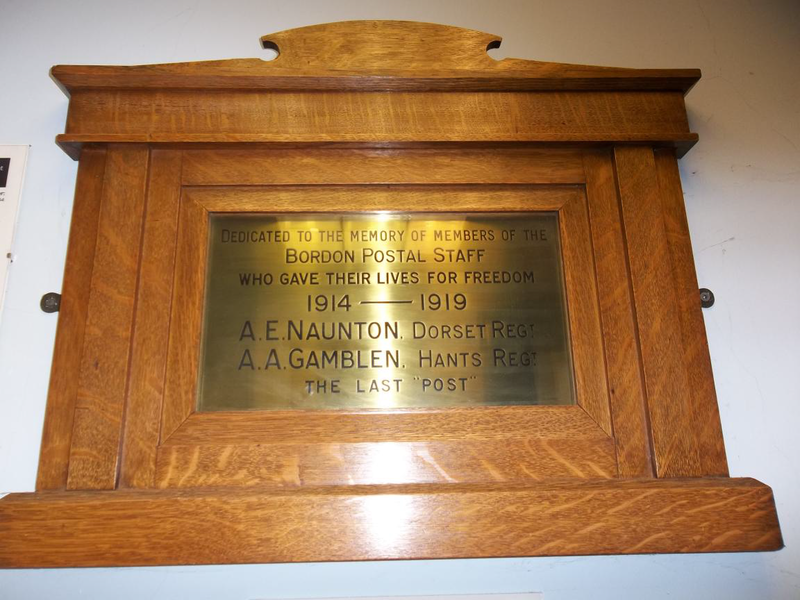 Alfred Naunton was born in London in 1881, married Louise Fairman in 1900 and joined the GPO in June1902, aged 20. 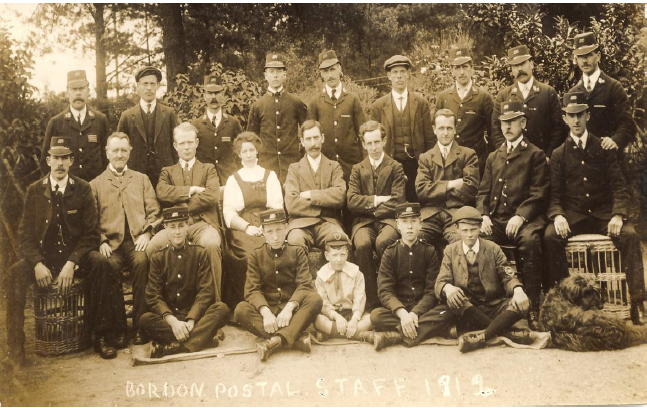 He, his wife and five young children moved down to Hampshire from Battersea in 1912 as he joined the newly-opened Post Office at Bordon Camp. Rev. Laverty wrote “A Bordon postman came January 1912 to Eashing Cottages (Headley) and moved on in 1912 to Elm Cottages, Lindford”. At some time between 1915 and 1916 the family moved to The Straits and the children attended Kingsley School. 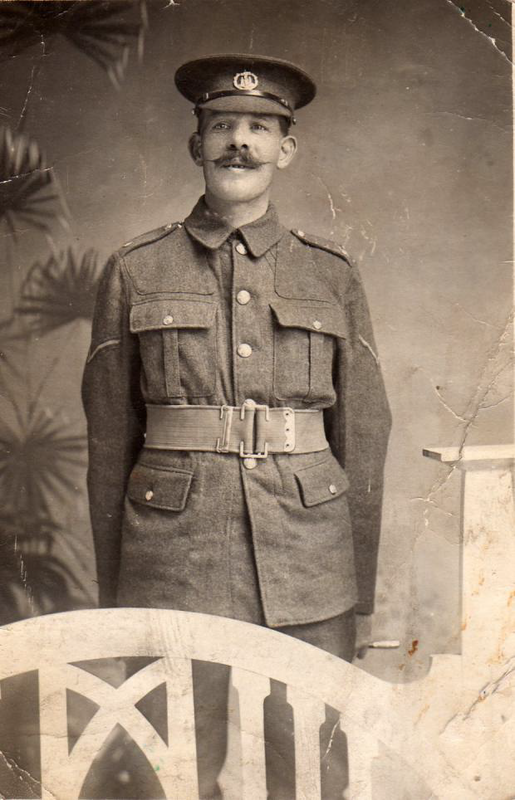 Alfred enlisted at Whitehill and joined the 5th Dorsetshire Regiment, (No. 18152), probably in 1914 and by his death in 1917 he was a Lance Corporal with D Company XV Platoon. Signed on behalf of the Earl of Lucan. So for over a year Mrs Naunton, with her five children, would have heard no news about her husband. Alfred is remembered on the Thiepval Memorial to the Missing (Pier & Face 7B) which is dedicated to those who fell on The Somme and have no known grave and his name is also on the Bordon Post Office’s Roll of Honour and on the Bordon War Memorial. There are several references to the Naunton children in the Parish Magazine and in the Kingsley School records. Alfred (aged 10) won a three-legged race in the Empire Day celebrations in late May 1916 and was collecting for the Red Cross in November 1916 and Rose and Alfred had plots in the school garden in July 1917, with Rose winning a prize. Alfred’s wife, Louise Naunton, is said to have played the piano at the Bordon barracks as entertainment for the troops. All five of Alfred and Louise’s children stayed and died in Canada. In 1921 Louise, now living in Edmonton, received Alfred’s Memorial Scroll and a letter from the king and later a Memorial Plaque (or Widow’s Penny). However probate for Alfred’s will was not granted until July 1923. In the 1960s one of Alfred’s daughters, Rose, visited Kingsley to find the house in the Straits where the family lived. 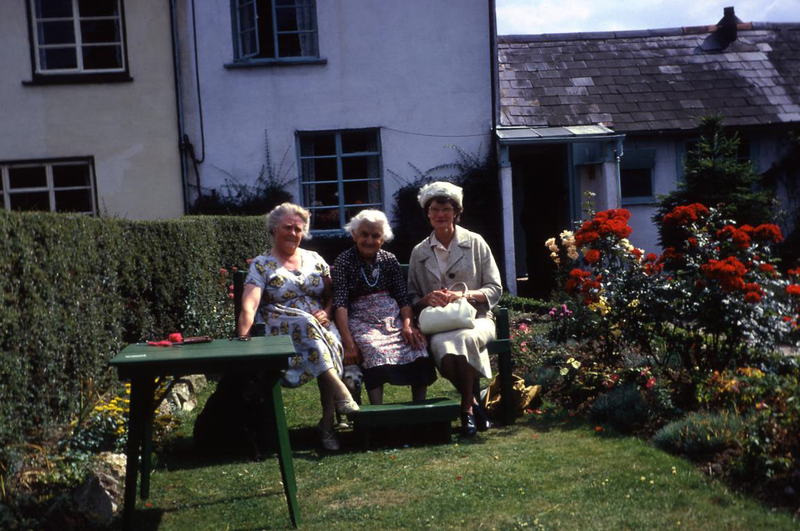 She met with Mrs Taylor who lived there at that time. In 2013 Rose’s daughter, Winnifred sent me a tremendous amount of material ( including the 1960s photo) about her grandfather for which I am most grateful.